STYLISH, ATTRACTIVE & LONG LASTING... DESIGN A SIGN... ORDER IT ONLINE! You've arrived at the UK's highest rated house sign manufacturer. We engrave thick slabs of smooth natural slate with your house name or number. This is an exquisite traditional product that will astonish your visitors and make you the envy of your neighbours. 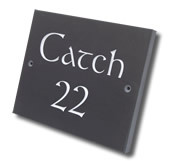 Design and order online and your hand crafted slate sign will be created in Cornwall and delivered direct to your door. Creating your unique sign is simple, thanks to our easy-to-use design tool. Our customers tell us they love it! Don't like to see visible screws on the face of your sign? Worried about theft? All our signs can now have hidden fixings meaning nothing is visible from the front.. For more info, click here. WHY BUY FROM HOUSE SIGNS ONLINE? If internet security is a concern, we can accept your order online and telephone you for your card details or we can provide our bank details for BACS payment. You can also place your order over the phone on 01840 212 373, Monday to Friday, 9am-5pm. We are very proud and thrilled with the many compliments we receive from our customers. Thank you! To see independently collected reviews from our customers (both good and bad) please click the Trust Pilot graphic above or click here. "Thank you for the excellent house sign. We are very happy with the quality. May I say that your website is excellent and the pictures of your examples are the best I have seen"
"The house sign arrived today & I am really pleased. Thank you very much for the high quality item, exceptional service & communication." 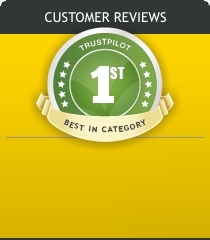 Atlantic Signs is independently assessed by Trust Pilot who invite our customers to leave a review. We're thrilled with the many complimentary comments we receive each week. Thank you! To see what our customers are saying about us, good, bad or indifferent please click here. Our easy-to-use design page allows you to view your house sign in seconds. Click here. Order online or call Jo or Gary on 01840 212 373, Monday to Friday, 9am to 5pm. Atlantic Signs is a small family business based in North Cornwall. We have six employees designing & crafting high quality slate house signs, plaques & pet memorials. 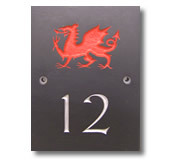 All our slate house signs & slate products are engraved here by our talented & dedicated team - we are not resellers. 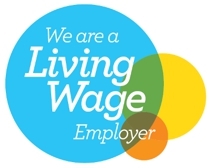 Atlantic Signs pay & support the 'Living Wage' - Cornwall is the poorest county in England & we want to change that! Company Registration Number : 7170765. Some materials & products from Portugal, Holland & other countries. VAT Registration Number : GB 834 5094 25. All slate signs & clocks manufactured here in Cornwall.